You've seen them everywhere. They sit pretty in photographs of some of the prettiest homes floating around Tumblr and Pinterest and pretty much every Interior Designer's home there is. I have been coveting one for a while, but didn't want to kill yet another plant. This tropical plant, from West Africa, is a bit fussy and requires a warm and wet climate similar to that where it comes from for it to thrive, but once you figure it out, they are easy to take care. 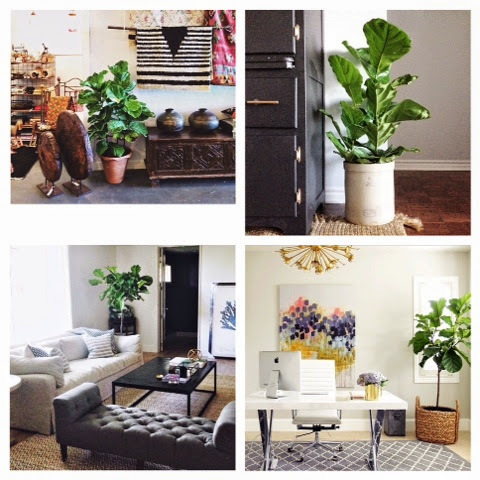 The best way to care for your Fiddle Fig Tree is to water it when only the top inch of soil is dry. Test this by sticking your finger in the soil. Pretty soon you'll figure out about how often you need to water. Keep in mind that this may fluctuate based on seasonal humidity. 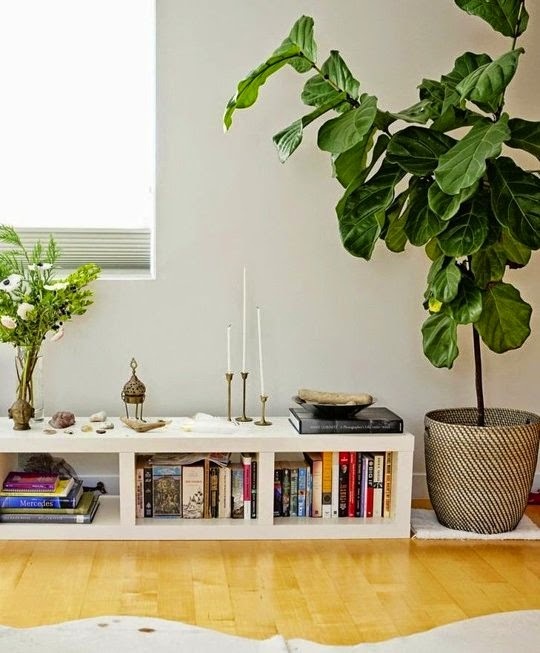 You should also keep your fiddle leaf fig plant in bright, indirect light. I purchased mine from IKEA and have found the perfect spot for my tree close to a window and underneath my Gallery Wall, but not in direct sunlight. So in love with it.